I hope your heart is filled with excitement for the year ahead! The New Year is bursting with countless opportunities for you to create a life that fulfills your soul’s purpose and your heart’s deepest desires. THIS can be the year when you dream bigger dreams… plan bigger outcomes… take action in a much bigger way… and experience a ton of joy, professional fulfillment, and personal accomplishment! All you have to do is say YES – and commit to taking the actions that will make your biggest ambitions a reality! If you’re ready to make the leap from where you are now to where you want to be, I’m here to help you every step of the way. 1. Looking for daily inspiration and motivation? Follow me on Facebook. I post inspirational sayings and links to articles that contain valuable advice on practical steps you can take to experience more success in all areas of your life. 2. Want to overcome the biggest obstacles that are holding you back? Start off the New Year right by taking my FREE Success Principles 10-Day Transformation Challenge. Every day you’ll receive a new lesson and activity that will help you get clear on what you really want from life – and what you need to do to make it a reality. 3. Longing for a personal Success Principles cheerleader to keep you on track? Get a Canfield Personal Coach in your corner and have a trained Success Principles expert work with you one on one to help you transform any area of life and accomplish your most ambitious goals. Sign up for a free introduction to coaching here. 4. Want to radically transform your life in five days? Join me at Breakthrough to Success 2016 this February or August – and create a detailed roadmap that will help you fulfill your soul’s purpose and create the ideal life you’ve always wanted,while overcoming any obstacles with grace and ease. 5. Dreaming of becoming a leader worth following? Join my friend and colleague Kathleen Seeley for our ground-breaking leadership training program, Leadership Worth Following: How to Build Cultures That Inspire, Motivate, & Thrive this February in Newport Beach, CA. You’ll learn how to become a leader who inspires people to come together as a highly motivated team and accomplish more than they ever thought possible. 6. Searching for ways to re-energize your life and business – and bring more success and fulfillment into your life? 7. Want to fulfill your dreams of success while helping others and making the world a better place? 8. Want to teach the Success Principles to others – but can’t afford the travel and expense of Train the Trainer Live? If traveling to the US for my Train the Trainer live program doesn’t fit your schedule or budget, you can receive the exact same training and become a Certified Canfield Trainer at a fraction of the cost with my new Train the Trainer Online program. If you work with people in any capacity, this training will teach you how to make a bigger impact on others and inspire them to become their best selves. It’s the best possible decision you can make to advance your speaking, teaching, coaching, consulting or management career! 9. Searching for fun and affordable ways to create your own vision of success – in the comfort of your own home? Master the Success Principles and learn how to create the life of your dreams with any of these popular home-study programs available on my website. 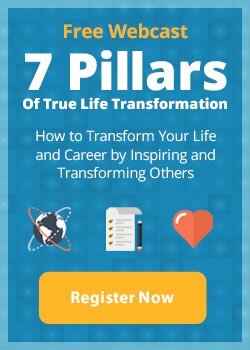 You’ll discover how to feed your mind, open your heart, and visualize your way to achieving higher levels of success in all areas of your life. 10. Looking for permission to just go for it? You’ve got it! You have my permission – and the permission of the Universe and whatever Higher Power governs it – to pursue your biggest dreams. I truly believe that we are not given dreams that we lack the capacity to achieve. So if you are capable of dreaming it, then YOU CAN ACHIEVE it. All you have to do is say YES and take action to make those dreams come true! You have all of the talent and the resources you need to start right now and create anything you want. You just have to make the decision to ACT. I know you can do it. And I think that deep down, you know you can do it too. So don’t let fear or uncertainty hold you back! Get clear on what you want – and what you need to do to make it happen. And then take one small step after another to get from where you are to where you want to be. That’s how success happens. If you decide to enroll in any my programs, I can guarantee that you will reach your goals faster. But even if you don’t, you still have the capacity to make your dreams come true. So this January, once the New Year celebrations are over, I challenge you to roll up your sleeves and make it happen! And please don’t forget that I’m here for you, and eager to support you in any way I can. P.S. What do you want to create for yourself or your business this year? I’d love to hear what your ambitions are for the year ahead! Declaring your goals publicly is an important first action step. Post your goals below and let’s create an avalanche of momentum together!